The world of IT support for technical asset management is experiencing exciting and challenging times. It is well understood in the market the need of Enterprise Asset Management solutions for maintenance execution process with perfect integration with procurement, logistics and financial & Controlling including process automation execution and analysts have been pursuing of complementing such platform with functions to strategically evaluate preventive maintenance/inspections plans and activities, this moving from a “reactive” maintenance into a “proactive” with powerful analytical tools including reliability and risk based. 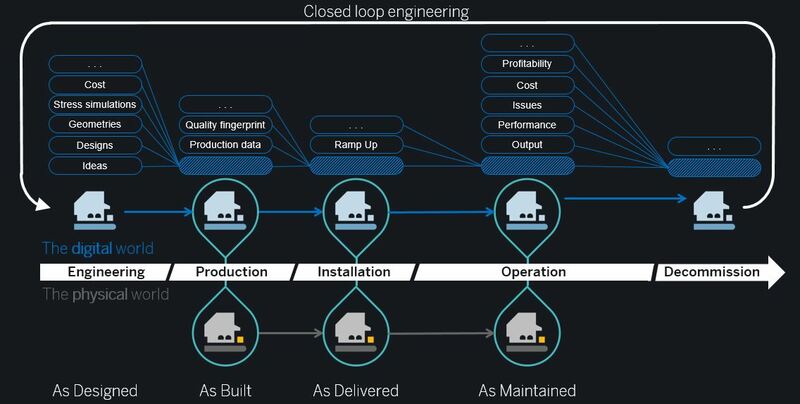 The abundance of information and the capacity to process plus the continuous raise of connected things are quickly and dramatically transforming the energy industry overall: customers, energy and infrastructure. In the technical asset area, companies are investing in watching and monitoring technologies such as sensors and drones combined with technical diagnostic tools and big data mining platforms to perform analysis and simulations in order to understand the health of the assets and predict the probability of failure, this is a new generation of optimisation of asset management strategies. This increase of the sophistication and capabilities of the IT support for technical asset management is occurring while the technical infrastructure, the assets and connectivity models are also shifting in sophistication: the irruption of new generation sources requires a more sophisticated (and complex) infrastructure as well as introduces new challenges such as renewables intermittency and loss of network controllability due to the loss of controllability over generation sources and predictability of consumption patterns. As the concept image shows, the model of energy companies is shifting from an energy based focus to an information based focus, this is “from Kilowatts to Kilobytes” as the abundance of energy downsizes its relevance while information on its management (consumption, customers, infrastructure) becomes key for the organisation success. In order to be truly agile to enable such digitalisation of the existing technical Assets base, organisations have face a Data Strategy, both from the quality acquisition perspective and from the scope as the information for the assets which should be gathered and updated over its entire life cycle: as designed, as build, as maintained …. what was changed during its lifecycle?. And to make it even more challenging, the overall result should be a more comprehensive model to do the management including economic aspects. First example is related with the overall master data data acquisition and update, Energy companies face the necessity to update millions of assets/equipments, with thousands of approved products/material master records with frequent large legacy of missing data for equipment with 30-40 years old plus new products coming along e.g. new batteries, inverters etc. SAP Asset Intelligence (business) Network may help. By using this service, companies subscribe to all the Manufacturer products they may have while Service Providers to create equipment records referencing Models – inheriting all attributes (Class characteristics) – which download into their local system as equipment records with all relevant information filled in, along with copies of the relevant attachments. As a bonus of such services, organisations already can have in current release product recall notifications, obsolescence reports, parts Lists and maintenance manuals. Second Example: How is the asset actually? The reality shows that sensor data is providing information of certain high value and critical asset categories, but the reality is that most of the information comes, or more precisely, has to be captured by the field workers which perform maintenance or inspection activities on these assets: how is managed the information captured by these workers? The procedure is to capture efficiently the information of the field workers. Mobility becomes one of the key elements to assure the consistency of the “digital twin” information. Traditionally perceived as a tool to transmit electronically work orders, its capabilities to bring information on the asset condition, such as what has been done, which were the causes and component affected, which defects are detected, which measurement values are captured or what is the resulting condition of the asset, brings actually more relevance to the information provided as it will help to assure the accuracy of the information on the asset condition. 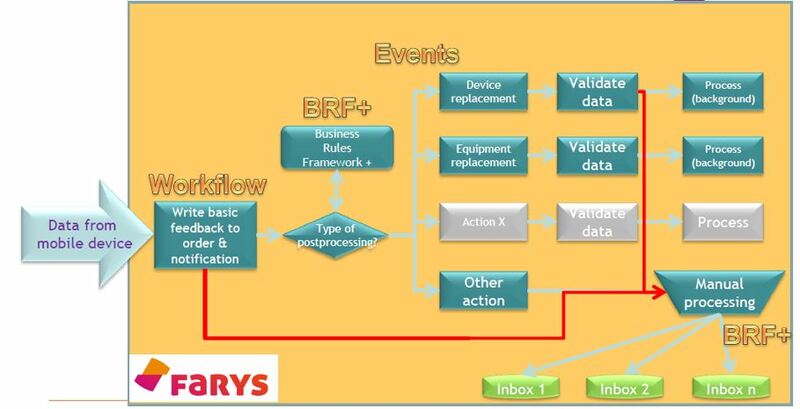 Source: Farys use case presentation on its workforce management implementation, 2015. As the image above shows, the jump from paper to electronic forms allows not only a more efficient and accurate recording of information but a more complete processing as the uploading of the work order confirmations and its technical reports can be combined with automatic processing tools to proceed with the corresponding updates in the Datamodel and document status as much as trigger alerts and workflows for the defects and incidents considered relevant. I think that the recording, provision, and processing of asset condition data from the field will play an increasingly central role, as almost all (conceivable) business models for technical assets are based on this data in combination with sensor. For this reason the implementation of a modelling tool such as SAP Business Rules Framework (BRF+) can help in the continuous upgrading and modelling of such business scenarios. At the International SAP Conference for Utilities, taking place in Lisbon from March 28 to 30, 2017, we have a “Digital Asset Track” where you can learn more about this topic.